Lower Strand with the Leyland National bus operated by Woodcock's Buses which provided a connection from Hugh Town to the Helicopter service which operated from St Mary's Airport. 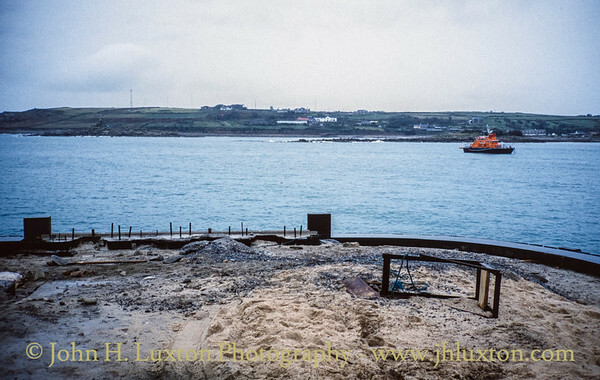 The Quay at Hugh Town showing the improved surface. 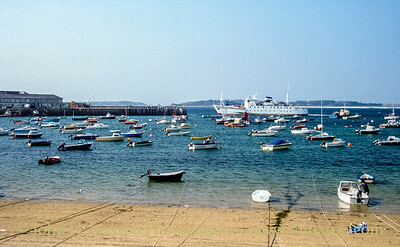 Work to improve the berth had been going on over the winter of 1993 - 1994. The section at the very end of the quay remained to be completed. 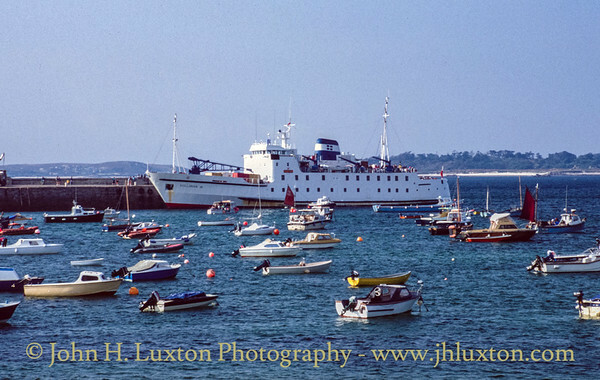 RMV SCILLONIAN III at the Quay, Hugh Town Harbour, St Mary's, Isles of Scilly. Work to improve the berth had been going on over the winter of 1993 - 1994. 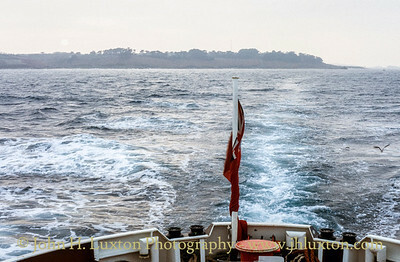 St Mary's viewed from the stern of RMV SCILLONIAN III on her afternoon sailing to Penzance. 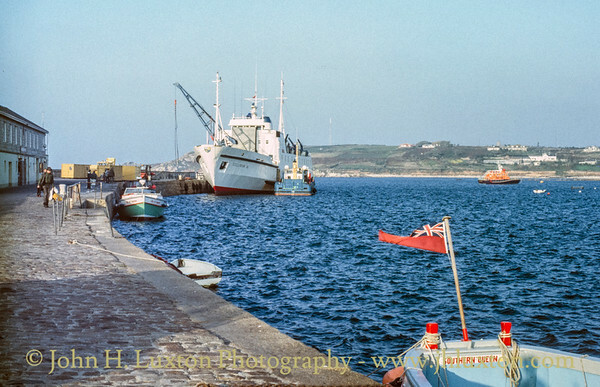 Hugh Town Harbour, St Mary's Isles of Scilly with MV SCILLONIAN III loading for her return sailing to Penzance. 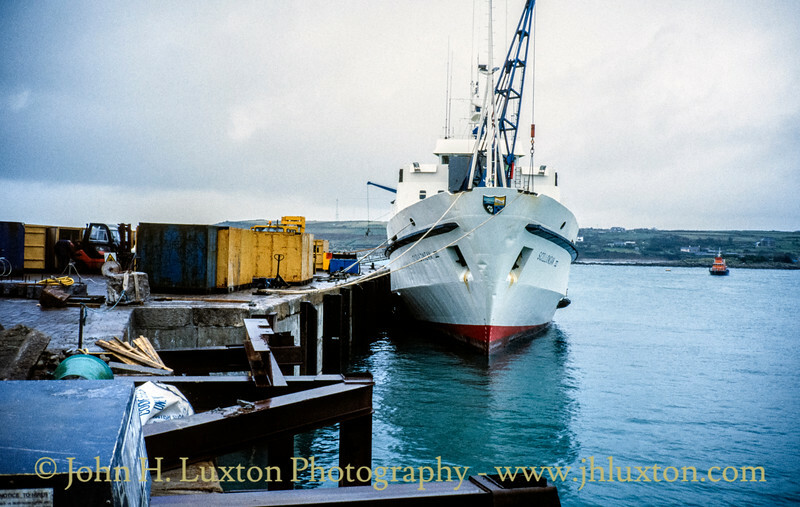 Off-island ferry LYONESSE LADY can be seen alongside. St Mary's Boatmen's Association launches LILLY OF LAGUNA and SOUTHERN QUEEN are alongside after returning passengers from day trips to the off-islands. 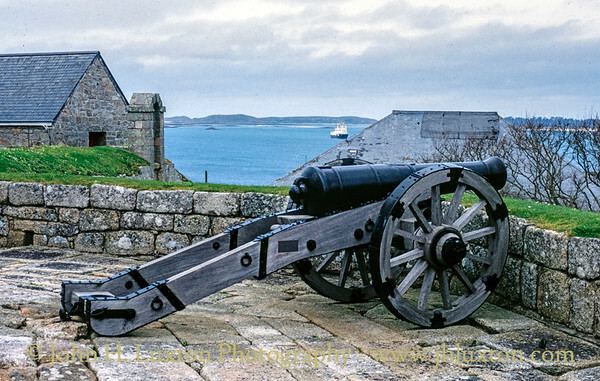 Traversing Gun - King Charles' Battery, The Garrison, Hugh Town, Isles of Scilly. 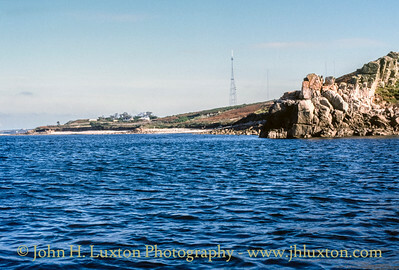 View towards Carn Morval Poiny, Halangy Down from a St Mary's bound launch. 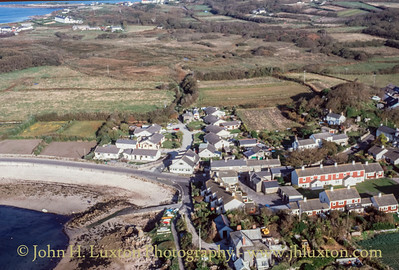 Aerial view of Old Town & Castle Ennor from an arriving flight from Penzance Heliport. 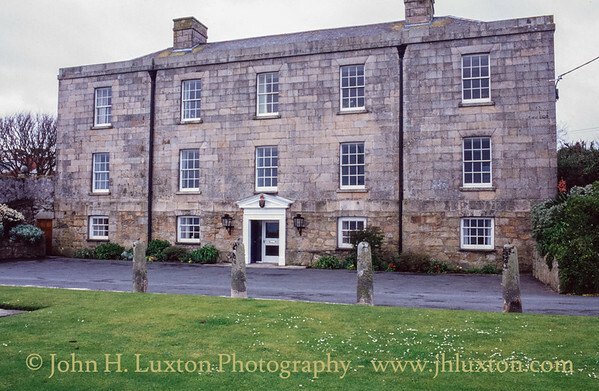 Hugh House - This building was built in 1792. 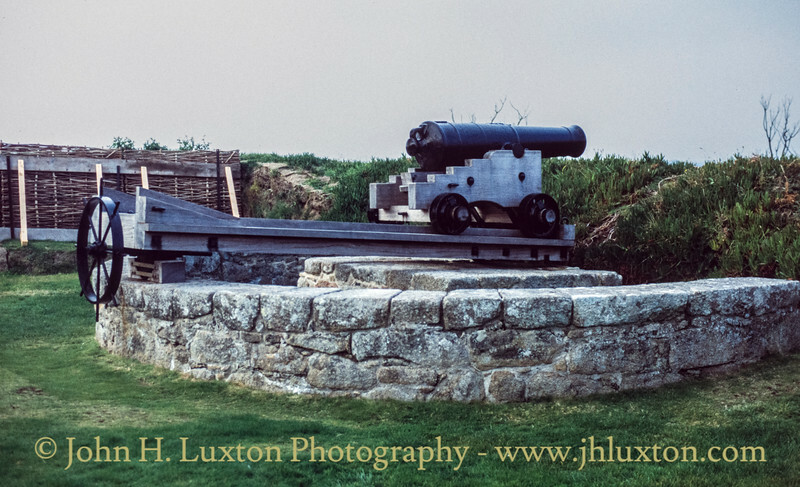 It was originally the Officer's Mess for the Garrison. 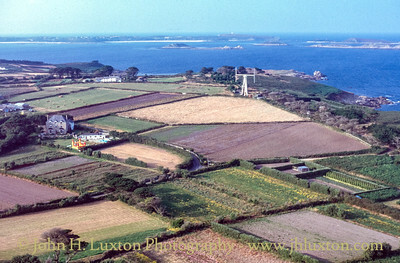 It later became the first residence of Augustus Smith, Lord Proprietor of the Islands (1834), before he moved to Tresco Abbey. Today it is provides office accommodation for the Duchy of Cornwall the crest of which can be seen above the door. Mount Todden and its distinctive wind turbine seen from the air. 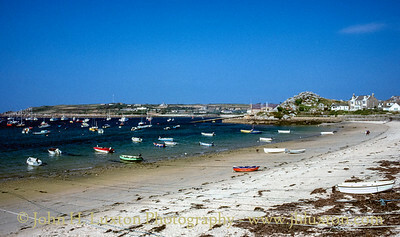 Town Beach, Hugh Town Harbour, Hugh Town Isles of Scilly. 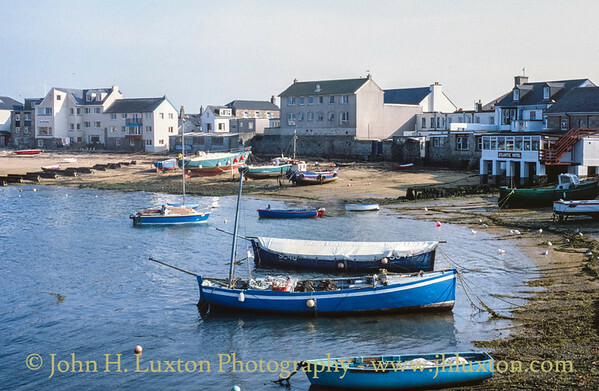 View of the inner harbour from the Old Quay looking towards the Atlantic Inn / Hotel. 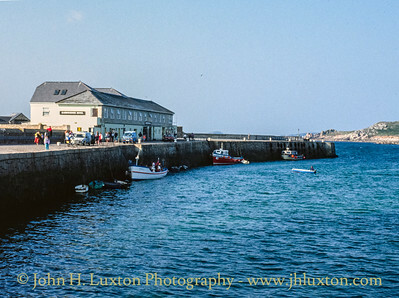 Hugh Town Quay, St Mary's, Isles of Scilly. 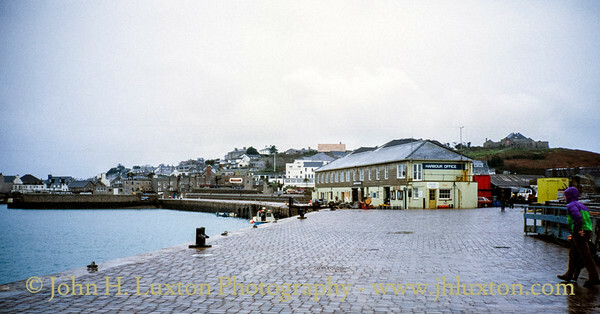 The main building functioned as a toilet block, harbour master's office, waiting room and also the Harbourside Hotel. 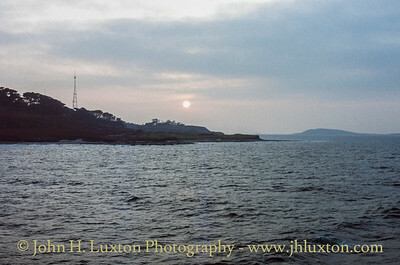 The hotel offered excellent views of the harbour from many of it's bed rooms and was run by the late Tony Pritchard. I had quite a few holidays there between 1996 and 2005. 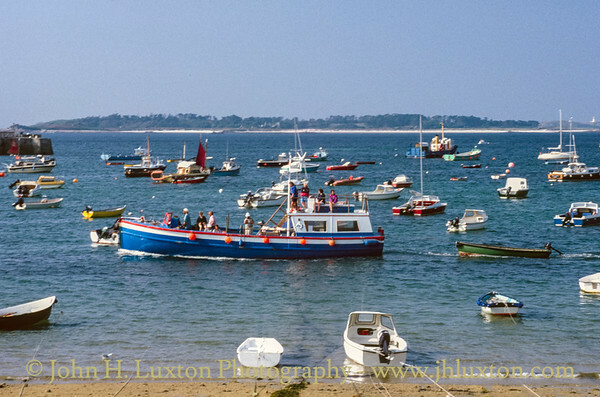 Launches can be seen returning trippers from the off islands to St Mary's. 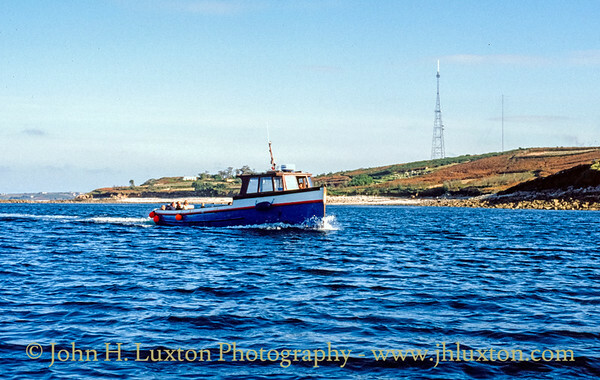 The passenger launch SWORDFISH II seen passing Town Beach, Hugh Town, St Mary's, Isles of Scilly. SWORDFISH II was an launch which was operated by John Hicks as part of the St Mary's Boatmen's Association fleet. However, John Hicks decided to operate independently of the association and converted the SWORDFISH II into an upmarket cruise launch which offered full day trips, which included calls at some of the uninhabited islands of the Scilly archipelago. A cabin was also provided for passengers whose numbers were limited to 12. As part of the cruise cream teas were served at anchor in a sheltered cove. 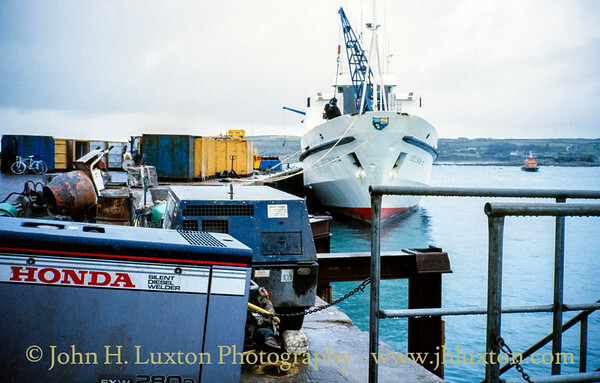 Sadly after John left the islands SWORDFISH II changed hands, was subsequently damaged in a storm and eventually broken up. 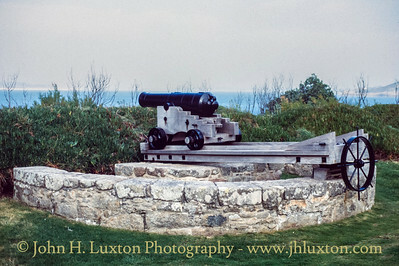 It's bow being preserved as a shelter overlooking Old Town Beach. 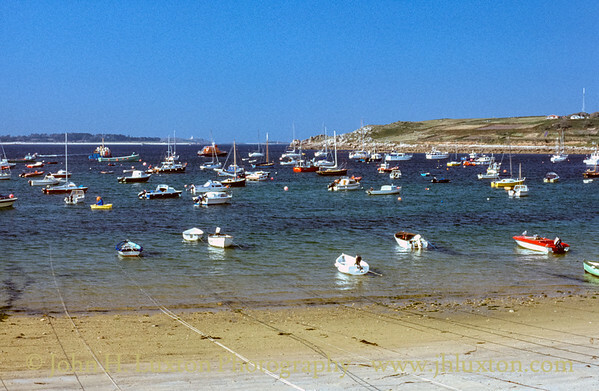 Hugh Town Harbour, St Mary's, Isles of Scilly viewed from Town Beach near Holgate's Green. 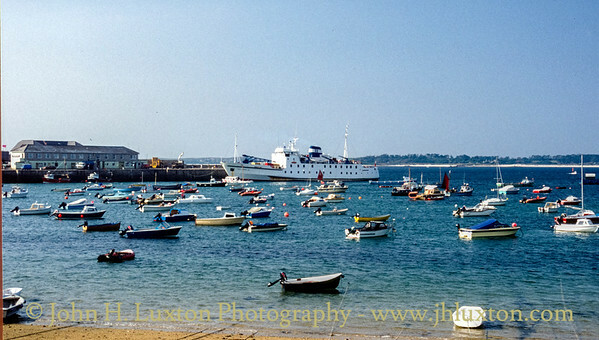 The Isles of Scilly Steamship Company's RMV SCILLONIAN III can be seen about to depart on its afternoon sailing to Penzance.